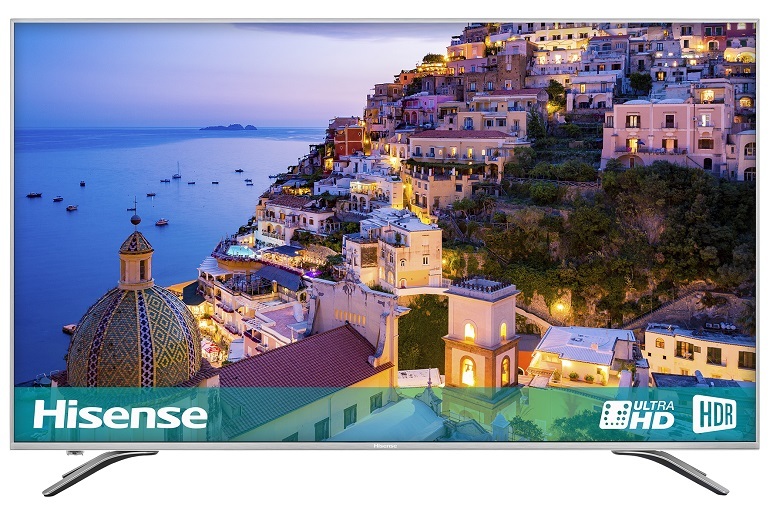 Experience the stunningly sharp 4K HDR picture of Hisense's A6500. Hyper-detailed 4K resolution combines with colour and contrast expanding HDR for a beautifully lifelike picture. The quad-core smart platform opens up a world of online apps and streaming services, while built-in Freeview Play catch-up service makes your favourite shows unmissable. TruSurround Audio provides supremely immersive sound to match the glorious visuals, making this the complete entertainment package. To respond to screens getting bigger, brands have packed their screens with more pixels. This 43” screen has four times the number of pixels than 1080p Full HD TVs, delivering stunning realism, natural motion and incredible detail. Forays into contrast and colour-boosting High Dynamic Range (HDR) have begun, and Hisense are no exception. With this set's 8-bit panel, they've delivered top-shelf HDR to deepen your view and show shades previously unseen in home entertainment. Expanding light, dark and every colour in between to extraordinary new levels, this model's picture gets closer to real life. TruSurround Audio by DBX: creates an immersive sound-scape, for a more excitingly absorbing viewing experience. Complete Connections: with HDMI 2.0 and USB 3.0 ports this TV is laden with high-quality connections to become your complete home entertainment hub. This set’s Hisense Smart platform is run by a rapid quad-core processor, so you’ll browse seamlessly. Do anything from streaming 4K shows on Netflix and Amazon, keep up with the weather on Accuweather or play clips on YouTube. With one-touch remote control access and customisable launcher there's plenty of apps to keep you entertained including Wuaki.tv, Plex, Facebook and Twitter. * Download the RemoteNOW app (iOS and Android) to turn your smart device into a handy remote and cast content from your phone or tablet to the TV. This Hisense TV features Freeview Play. Combining catch-up TV, on-demand services and live TV channels, watching what you want, when you want, is now easier than ever. It’s free from subscription and is compatible with existing broadband services too. Services such as BBC iPlayer, ITV Hub, All 4 and Demand 5 are also available without having to open specific applications. This will give effortless scroll back so you never miss a second of your favourite shows.